Have you ever had one of those days when you seem to spend the whole day snapping at your kids? If you’re tired of the nagging you might want to try something different with these positive parenting skills. 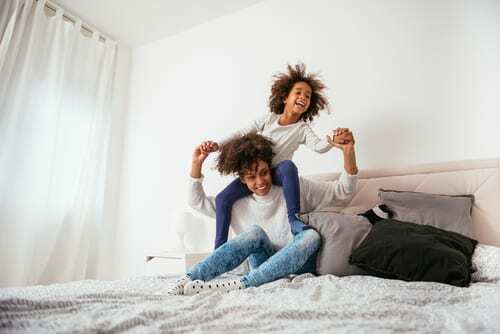 Positive parenting is a popular parenting philosophy that uses positive discipline and positive instructions to deal with bad behaviour in children. Some studies show that positive discipline gives better results in children’s behaviour than other discipline methods. By turning the negatives into positives you can make a massive difference. Both to the way your kids behave and to the way you feel too. It’s all about making a few tweaks to the things you do and say. The power of the positive can make such a big change to the way your days go. The next time your child plays up, instead of telling them what NOT to do tell them what you want them TO do instead. So, rather than snapping ‘Stop shouting’ or ‘calm down’, try saying something like ‘Kind words please’ or ‘Let’s try five belly breaths’. It can make them stop and listen much more effectively than the ‘No’ that they’re used to hearing that becomes birdsong after a while. It’s easy to point out the annoying or naughty things your child does but the good stuff matters too. At first it can feel a bit forced pointing out the good stuff, but it can make a massive difference to them and the way they behave. On those days when they are just pressing every single one of your buttons and you’re struggling to find anything good to praise them with, try to catch them being almost good and big them up on that instead. 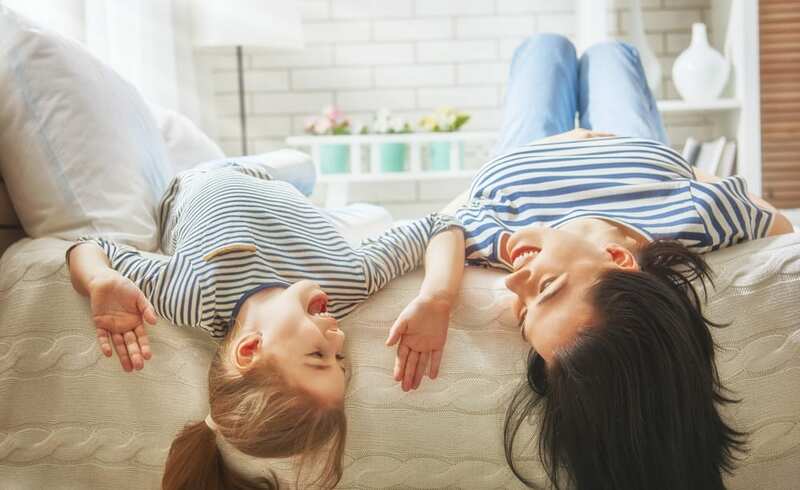 You might feel a bit cheesy giving your child so much praise so often but they take it all on board and it reinforces the good behaviour, cutting down on the bad. We’re all guilty of talking more than listening in so many relationships. But when it comes to your kids if you can really take time to listen, you know you’re onto a good thing. 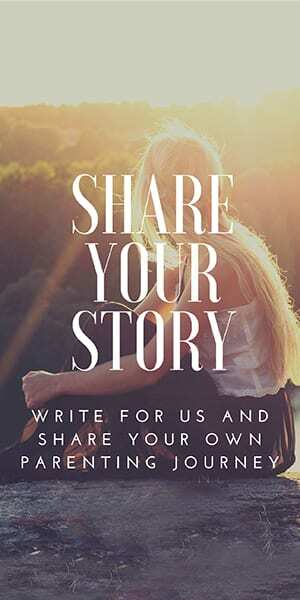 We’re not talking about when they ramble on with a story that lasts forever. Feel very free to half pay attention while saying ‘Hmmm’ and ‘Yes’ occasionally when they do that! But really listen when they talk to you or try to tell you how they feel. If you listen to the little things when they’re small, they’ll tell you the big things when you’re older. OK so you can’t say ‘yes’ to everything. Especially when they beg you for a puppy three million times a day or ask if you will take them to Disneyland in the Easter holidays. But, as a general rule, try to cut down on how often you say ‘No’. Imagine if your partner or friends said ‘No’ to everything you suggested. You’d start to feel pretty annoyed after a while. If your child asks to go to the park and it’s half an hour before bedtime, instead of saying ‘No’, you could promise you’ll go after nursery tomorrow. You could even tell them how glad you are they suggested it and how you’re going to look forward to it all night long. If they ask if they can dance in the rain maybe say ‘Yes’. They’re not made of sugar. And it could be fun. 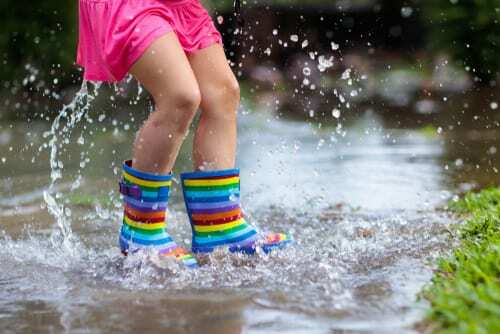 Join in and dance in the rain too! This one’s easy and makes the biggest difference to how your kids feel and how you feel too. Any day feels better if it’s filled with big squeezy hugs and sticky kisses. Even when (or perhaps especially when) they’re driving you up the wall, switch the mood by tickling them or scooping them up into a big bear hug and dancing round the living room. When you’re knackered and all you really want is for it to be bedtime so you can watch some adult TV and eat all the forbidden snacks, it’s hard to stop and play with your kids. But play is what they thrive on and there’s no better playmate than Mum or Dad. All that playtime means so much to them because you’re giving them your attention and time. And that’s what they want more than anything. Playing and being silly together is so much fun too. So – even when you’re weary get down on the floor and have another pretendy tea party or build another Lego space station. This is such a simple parenting trick that can make a huge difference. Whenever you need to talk to your child to guide their behaviour make sure you get right down to their level. Crouch or kneel down and look them right in the eye. It instantly calms your child and shows them you’re giving him your whole attention. It’s a parenting tip that’s even got the royal stamp of approval. Have you ever got so mad at your kid that you end up blurting out a ridiculous consequence that actually would be a complete pain (and nigh on impossible) to follow through? Like when you threaten to put them to bed and then realise it’s only 11am? Of course, knowing that their actions have consequences is an important lesson to learn but before you dole them out take a breath and make sure they make sense. Sure they might drive us crazy and when they react with tears and tantrums it can seem totally over the top and irrational. But take a deep breath and try to get inside your child’s head to understand why they are behaving in this way. Are they tired? Bored? Just needing your attention? Maybe they’re scared or anxious? If you can stop for a minute and figure out what’s making them act this way then you can feel more empathy and less frustration at their behaviour. You’ll have a better idea of what to do and how to help them feel better. This is especially helpful for toddlers who are just starting to express themselves and may not always understand what you are trying to explain to them. Sometimes warding off a tantrum or meltdown is the best way to keep things on an even keel. When you spot that your child is about to kick off then suddenly notice a funny bird in the garden and call them over to see it. Or if you notice your child getting tired and moany start up a game of ‘I Spy’ or pop on some music and do a funny dance. A little bit of distraction can change the whole mood of the moment and prevent tears and tantrums in an instant. All this positivity is so much easier to achieve if you’re not feeling completely knackered, overwrought or overwhelmed. There’s a reason why on planes that they say you need to put on your own oxygen mask before you see to your kids. You never parent as well when you’re run ragged yourself. So make it your mission to do something for you each day. Hand your kids over to your partner or mum or friend and go on strike for half an hour. Chuck the rubber ducks out of the bath and pour in some posh smellies and just wallow. Or go on that night out. The kids will survive for one evening without you and you’ll come back feeling all topped up and refreshed ready to head into the next day with renewed positivity and enthusiasm. As long as you don’t overdo it on the prosecco that is! The power of the positive should never be underestimated. It can not only make your children behave better but it can make you feel better and more able to cope too. If your child lashes out and pushes, hits or bites another child it can be both shocking and mortifying. 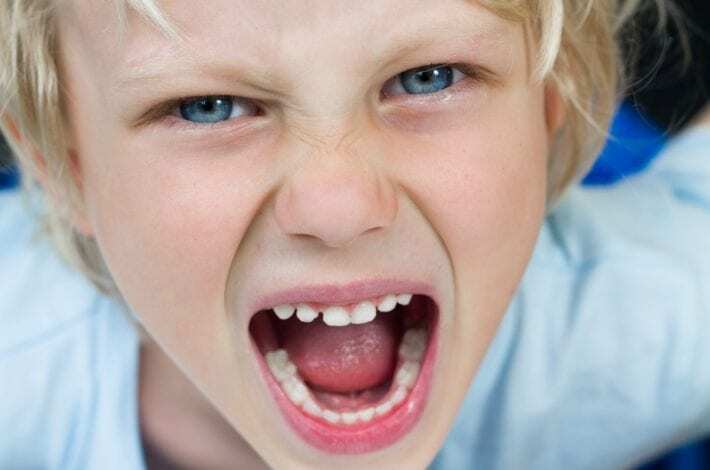 We’ve put together a 6 point plan for when your child is aggressive. What happens to a mother’s brain when she hears her baby crying? Many mums know the anxiety to rush to comfort their crying baby, but why do we feel this urgency and what happens to mums physiologically when they hear their baby crying? These findings of recent studies will surprise you. Want your kids to succeed? Let them play more! 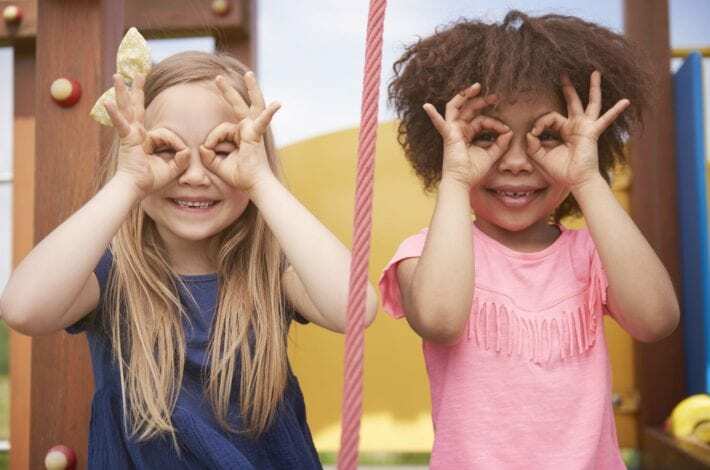 Play is being squeezed out of children’s lives and is becoming a luxury to be slotted into any bits of time left over when all the other activities have been taken care of. But when it comes to what’s important for children and what helps kids to succeed, play is right up their with love, learning and sleep. 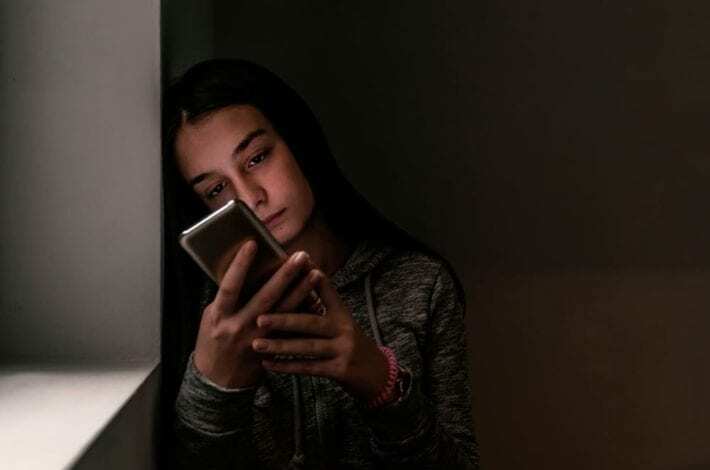 It’s shocking to learn that, especially for our children, social media can be a very dark place. All at the click of a button.